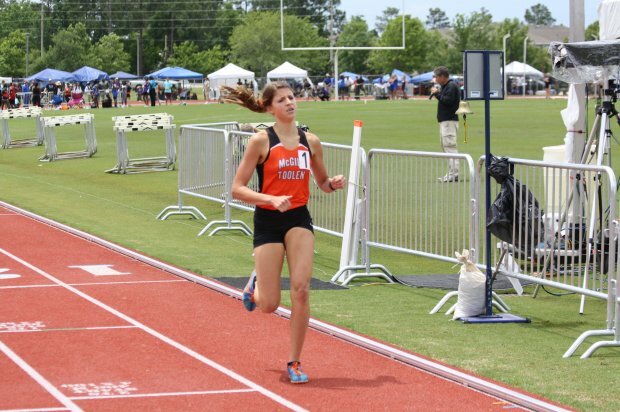 Carmen Carlos (AL) had a busy week at the AHSAA state champs, winning three events! She won the 800m run in 2:12.18 and the 3200m in a meet record 10:32.02, but the ticket to NY was with her 4:48.23 meet record in the 1600m run. 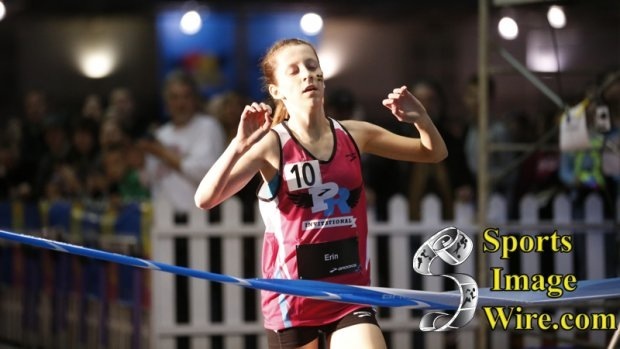 Erin Finn (MI), the 2011 NBNI 5000m champion, is typically cast as a distance runner, but the diminutive runner does boast a 4:47.08 clocking for the Mile set at the Grand Prix meet last year. This year she finished as the runner-up in the 5000 at NBNI and ran on the World Cross junior team in Poland. Bernie Montoya (AZ) was the defending champion last year and boasts a personal best of 4:01.32, set while winning last year. Bernie recently ran a 3200m PR to finish as the runner-up at Arcadia in 8:47.07. Bernie's great reaction after winning the Dream Mile in spectacular fashion last year. Andres Arroyo (FL) will be appearing in the Adidas Grand Prix for the first time and has been on a tear this outdoor season, running a solo 1600m in 4:04.45 and then a mind-blowing 1:47.79 for 800 meters at the Florida Relays. Wesley Frazier (NC) has qualified for this race for three straight years, culminating in a PR of 4:42.78 when she finished 5th last year. 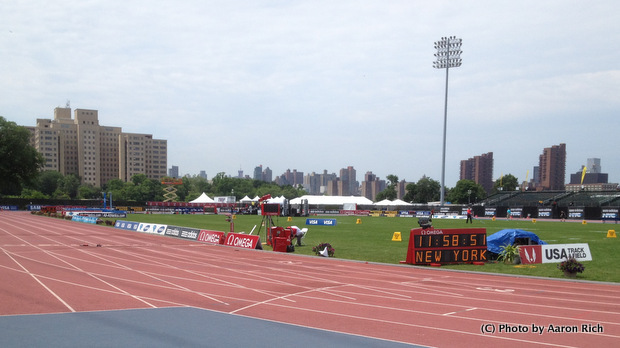 Recently she won the 5000m at the NBNI with a national record time of 16:18.01 and the 2 mile in 10:12.23. 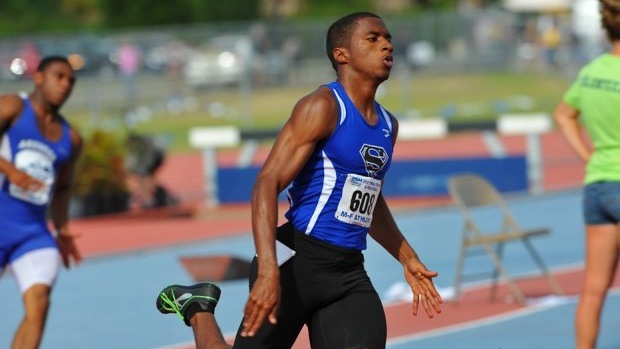 Kendal Williams (FL) recently dashed to a 100m time of 10.28 and a 200m time of 20.72 at his FL regional meet, setting himself up nicely to win a few state titles before making his way to NY for the Dream 100! Williams has been on fire this season in FL. 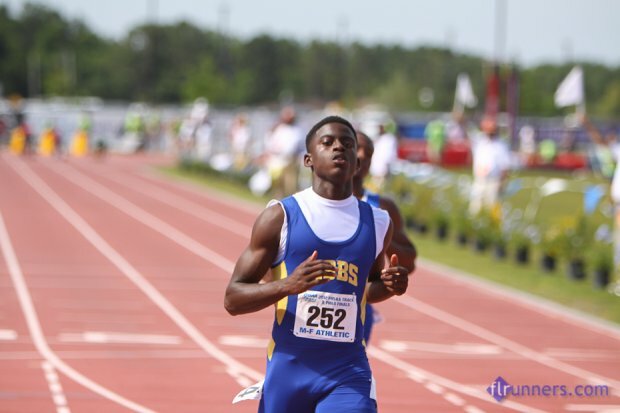 Trayvon Bromell (FL) dashed to a 10.14 clocking in the 100m this weekend as well as a 21.57 in the 200m dash. Trayvon will be making his first appearance at the adidas Grand Prix, but sure runs like a veteran of the 100m dash! Bromell looking poised after his 10.14 clocking! Levonte Whitfield (FL) is the defending champion in the 100 with a time of 10.43. The defending champ recenlty blitzed the 100 at the Florida Relays with a stellar 10.28 clocking. Levonte talks about his good fortune in winning the Dream 100 last year. Cameron Burrell (TX) will be making his first trip to the Grand Prix in New York and looks fit to the task as he ran 10.37 in the prelims and then a blazing 10.07 in the final to win under wind-aided conditions. Ky Westbrook (AZ) will be making her first appearance at the meet in NY and boasts an 11.42 PR in the event. She recently double in 11.50 and 23.87 at the Arcadia Invitational, placing first and third respectively. Kali Davis-White (FL) finished third last year in the 100 with a time of 11.45. Recently she made the trip to Arcadia and finished second in the 100 in 11.51 and second in the 200 in 23.71. Kali's interview after her third place showing in the Dream 100 last year.